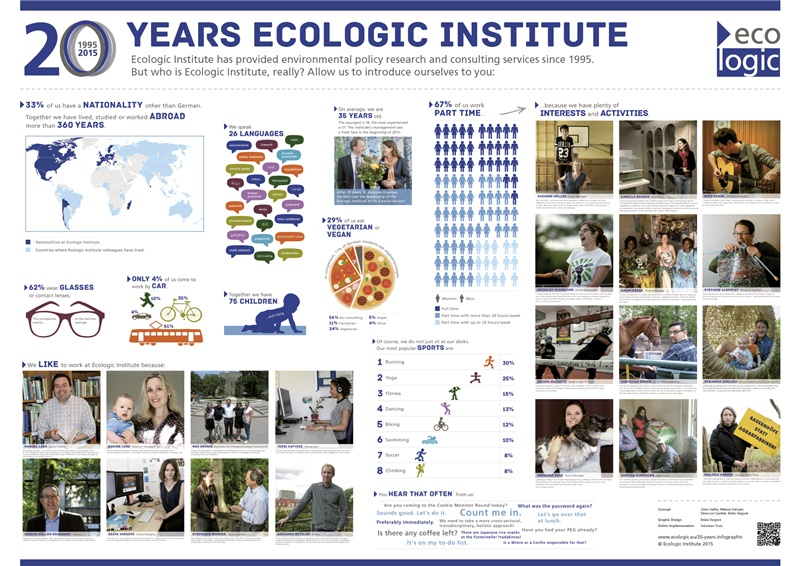 To mark the occasion of Ecologic Institute's 20th anniversary, this infographic provides a look behind the scenes and introduces some of the people who make up the heart and soul of the Institute. The infographic was developed, designed and implemented by Ecologic Institute's staff members. Visit our interactive online infographic.